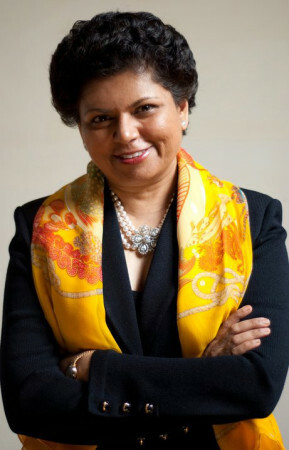 The Horatio Alger Association of Distinguished Americans, Inc, a nonprofit educational organization honoring the achievements of outstanding individuals and encouraging youth to pursue their dreams through higher education, today announced that Chandrika K. Tandon, Chair and Founder of Tandon Capital Associates, Soul Chants Music, and the Krishnamurthy Tandon Foundation has been selected for membership in this prestigious organization. Ms. Tandon joins 12 other exceptional business, civic and cultural leaders from across North America in receiving 2019 honors. For more than 70 years, the Horatio Alger Award has been annually bestowed upon esteemed individuals who have succeeded despite adversity, and who have remained committed to higher education and charitable endeavors throughout their lives. Ms. Tandon was born the first daughter of a traditional family in Chennai, India. Raised from an early age to make a good wife, her only exposure to the world at large was through music and the poetry and literature her grandfather shared with her. Though she dreamt of making music her life's work, she was discouraged, as it was not considered a respectable profession at the time. Ms. Tandon instead pursued business, not knowing that music would find her again later in life. Fighting for her dreams against the narrow future her family envisioned, she went on hunger strikes to be allowed to leave home for college and business school. In 1973, Ms. Tandon graduated with a bachelor's degree in commerce from Madras Christian College, and went on to attend the prestigious Indian Institute of Management in Ahmedabad for her MBA. Immediately thereafter, she began her career for Citibank, starting in war-torn Beirut. At age 24, Ms. Tandon immigrated to the United States to work for McKinsey and Company, becoming the first Indian woman hired, and all without an American education. She found herself advising CEOs on their biggest problems even though she didn't own a business suit, didn't know how to drive, and was totally new to American culture. With a dogged determination to create impact for businesses and clients, coupled with a fearsome work ethic, she made partner at the firm within a few years. In 1990, she risked her life savings to found Tandon Capital Associates, a financial advisory company, restructuring preeminent financial institutions worldwide, and creating billions of dollars of market cap. This decision quickly catapulted her to a new echelon. At the pinnacle of her career, despite all the trappings of success, Ms. Tandon became increasingly tormented by life's bigger questions. She was compelled to reevaluate her definitions of success, and self-reflection led her to remember that the happiest moments of her childhood were tied to music. Ms. Tandon decided to pursue singing as an extension of her professional life, often leaving home at 4:00 a.m. for lessons on Saturdays so that she could learn from artists she idolized. Her dedication to the craft has since gained admiration around the world, allowing her to perform for millions, release four albums, and in 2011, garnering her a Grammy nomination for her album, Soul Call. "Chandrika is a visionary who took control of her future at a young age," said Matthew Rose, president, Horatio Alger Association and 2013 Horatio Alger Award recipient. "Despite barriers, she never lost sight of her goals, and fought for the life she wanted and deserved. We are delighted to welcome Chandrika as a lifetime Member, and I look forward to sharing her story of triumph and accomplishment with our Scholars." In the past 20 years, Ms. Tandon has used her business skills and resources pro bono to better humanity and commit to a life of public service. Through the Krishnamurthy Tandon Foundation, she strategically directs resources to create pathways to economic, social, emotional, and spiritual well-being for all. As one of the largest Indian-American donors to American higher education, Ms. Tandon and her husband have given $100 million to the New York University (NYU) Polytechnic School of Engineering, renamed the NYU Tandon School of Engineering. She serves as Vice Chair of the NYU Board of Trustees and sits on the boards of the NYU Langone Health System, the NYU Stern School of Business and the Lincoln Center for the Performing Arts. From 2002 to 2008, she served as NYU Stern's Distinguished Executive in Residence, where she lectured about business transformation and leadership, and earned the Walter Nichols Medal in 2009. In 2016, she received the university's highest honor, the Gallatin Medal. "I spent my life working hard to create impact for businesses and society," said Ms. Tandon. "But I know I would not be where I am today without the teachers and supporters I've had – especially my grandfather. My love for music has been an important outlet for me in finding myself, and for that, I am forever grateful. I hope I can help to advocate for our young Horatio Alger Scholars as they fight for their professional and personal passions, just as I did." Through its Members, Horatio Alger Association aims to educate young people about the limitless opportunities afforded to them by the free-enterprise system. To further this mission, the organization awards scholarships to outstanding high school students who are committed to pursuing higher education and giving back to their communities. Like Association Members, Horatio Alger Scholars have faced significant adversities, but have also displayed unmatched resilience in overcoming their challenges. Since the scholarship program was established in 1984, Horatio Alger Association has provided more than $159 million to students in need, all of which has been funded solely through the generosity of Association Members and friends. "Ms. Tandon defines tenacity and boldness – characteristics that many of our Scholars also embody," said Terrence J. Giroux, executive director, Horatio Alger Association. "Her business acumen, dedication to service and passion for education will serve our Association well. I'm certain she will be a tremendous role model for the young men and women we support." Ms. Tandon and the Member Class of 2019 will be formally inducted into the Association on April 4-6, 2019, during the Association's 72nd Horatio Alger Award Induction Ceremonies in Washington, D.C. The annual three-day event honors the achievements of both Members and National Scholars, affording both groups the opportunity to meet and interact as well as exchange stories of hardships and triumphs.